Content marketing is a powerful technique that allows customers and prospective clients to understand the value that your business offers. It allows you to prove your worth and convince individuals you are the right fit for them by offering relevant and valuable content. Lorraine Ball of www.roundpeg.biz recently shared with us some of her content marketing tactics. Content literally functions as creating exposure and visibility for you, but don’t stop there. If you stop there, it kind of breaks the process. Once you get the exposure and visibility, now you’ve got to create a lead, and generate free opt-ins. However, you don’t stop there either. Next, use content to help define and nurture this lead. Is it a good lead? Is it somebody that just wanted one thing and is gone? Is it someone that wants to learn more? It helps to really cut down your sales cycle. By this point, you have sort of guided your prospects down a path. They’re learning what they need to know while you are moving them to a point where you’re not selling. You’re giving them information. You’re making them an informed consumer. But the natural conclusion is that the best possible choice at the end of this path is you! 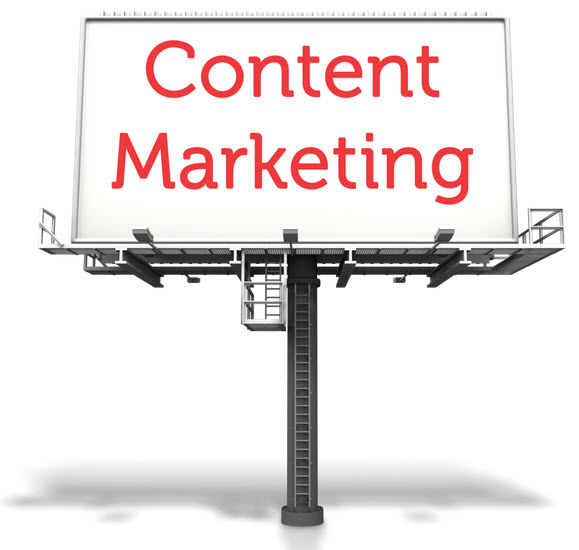 Content marketing offers the opportunity for your business to generate leads and awareness. By offering relevant and valuable information you allow customers and prospective clients to learn about your business and how you can help them solve their issues. Simplify the process of working with you. Provide links to workbooks, newsletters, etc. Ask yourself a question out loud and answer it that way. Then go ahead and put it on paper. Start with something realistic (1 blog post a week) – 400 words. These are some of Lorraine’s marketing tactics. We would love to hear yours. You can continue to learn how to create better content by clicking here.